Heidari, Z., Nazari Deljou, M. (2014). Improvement of Morpho-Physiological Traits and Antioxidant Capacity of Zinnia (Zinnia Elegance ‘Dreamland Red’) by Arbuscular Mycorrhizal Fungi (Glomus mosseae) Inoculation. International Journal of Advanced Biological and Biomedical Research, 2(10), 2627-2631. Zahra Heidari; Mohammad Javad Nazari Deljou. "Improvement of Morpho-Physiological Traits and Antioxidant Capacity of Zinnia (Zinnia Elegance ‘Dreamland Red’) by Arbuscular Mycorrhizal Fungi (Glomus mosseae) Inoculation". 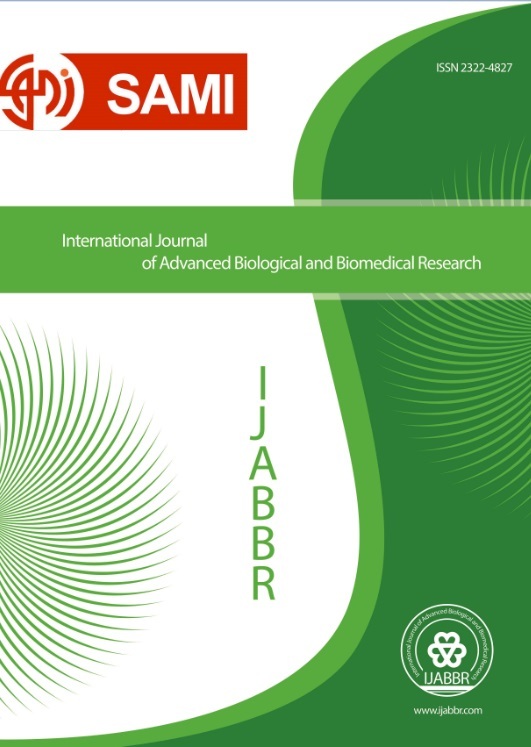 International Journal of Advanced Biological and Biomedical Research, 2, 10, 2014, 2627-2631. Heidari, Z., Nazari Deljou, M. (2014). 'Improvement of Morpho-Physiological Traits and Antioxidant Capacity of Zinnia (Zinnia Elegance ‘Dreamland Red’) by Arbuscular Mycorrhizal Fungi (Glomus mosseae) Inoculation', International Journal of Advanced Biological and Biomedical Research, 2(10), pp. 2627-2631. Heidari, Z., Nazari Deljou, M. Improvement of Morpho-Physiological Traits and Antioxidant Capacity of Zinnia (Zinnia Elegance ‘Dreamland Red’) by Arbuscular Mycorrhizal Fungi (Glomus mosseae) Inoculation. International Journal of Advanced Biological and Biomedical Research, 2014; 2(10): 2627-2631. Objective: The inoculation of substrates with arbuscular mycorrhizal fungi (AMF) is one of the most important effective strategies applied and one of the aims of sustainable agriculture. Methods: This experiment was conducted to evaluate the effects of AMF inoculation (0, 2.5, and 5 W/W) on morpho-physiological traits such as flower and root dry weight, water-use efficiency and antioxidant capacity, based on the completely randomized design with three replications. Results: The results showed that AMF has a significant and positive effect on the studied traits compared to the control. Moreover, the highest flower and root dry weight were achieved in 5% AMF. Water use efficiency, antioxidant capacity and total phenol content were 1.5, 1.1 and 1.3 times higher in 5% treatment compared to the control (without AMF), respectively. The results showed the significant and positive symbiosis between Glomus mosseae and zinnia bedding plants, which led to improvement of flowers quality.